The Blackmagic 4K production camera provides the most comprehensive solution when it comes to Ultra HD 4K production. Thanks to the advanced technology present in the camera, Blackmagic is able to deliver the very best when it comes to Ultra HD 4K imaging technology. 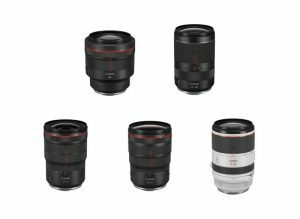 The camera features a Super 35 size sensor and EF lens mount, which puts the highest quality lenses for full Ultra HD 4K resolution in your hands. Even more impressive, the camera also comes with ProRes and CinemaDNG file recording directly to fast removable SSDs. Not only that, thanks to the built-in 6G-SDI output in the camera, you get to connect the camera in live environments. Above all, you get really gorgeous Ultra HD 4K images thanks to the greater range offered by the Blackmagic Production Camera 4K compared to average high end production cameras in the market. The Blackmagic Production Camera 4K allows you to shoot native in quality that is stunning. Ultra HD 4K images at 3840 x 2160 pixels. With that size, the images produced by the camera are four times the size of 1080 HD. Ultra HD 4K has already been dubbed as the next generation of broadcast television. Content filmed with the technology is being spread around through various channels on the web, as well as digital signage installations. 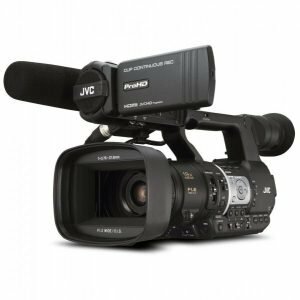 Given the features it comes with, the Blackmagic Production Camera 4K is the perfect solution for those who want to create content using Ultra HD 4K technology. By allowing you to shoot with a great sense of realism, as well as unparalleled beauty, there is no question that the camera is the perfect complement for content creators who want rich, detailed and vivid imagery in everything they produce. Also, thanks in part to a global shutter you can really achieve a perfect pan. 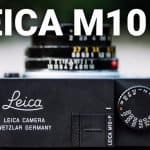 Not only that, the camera is also most valuable in situation that involves you – or the environment you’re in – being exposed to vibration because the rippling effect is an absolute non-factor. Furthermore, the Super 35 size sensor is also ideal when it comes to HD because you can re-frame, downscale and get really stunning anti-aliased HD images. The Blackmagic Production Camera 4K allows you to record in a file format that s being used by all the editing software of choice. A lot of production cameras these days make use of proprietary file formats for recording. The downside to this is that you still need to transcode the files before you can start post production work. However, that is not the case with this camera. 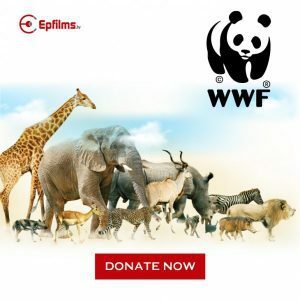 It comes with the capability to record to ProRes and CinemaDNG, which makes your files easy to import into all popular video editing software. 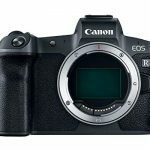 With these open file formats that this camera provides, your files are still able to maintain the full dynamic range that is recorded by the camera’s sensor. This allows you to create files that are ideal for post-production. What makes this feature a great one to have is that you can use Final Cut Pro X for editing the native Ultra HD files and color correct them using DaVinci Resolve, allowing you to maintain a 4K workflow throughout the post production process. The Blackmagic provides you with the option to shoot either in Film or Video Mode, whichever best option suits your needs. The full dynamic range from the image sensor of the camera is recorded in Film mode. With color correction, you are able to get the maximum information in the highlights and shadows of images. When shooting in Video mode, the camera processes images within the Rec709 color space, which is a standard for HDTV. Shooting in Video mode is ideal in situations where you have to deliver a project as soon as possible without the need for color correction. Recording to SSD provides you with the option for easy recording of high resolution video. With the built-in SSD recorder, you are provided with storage for your recorded files that is fast, reliable and low cost. With SSD, there are no mechanical moving parts, which reduce its risk of being damaged during use. SSD technology has proven to be reliable and the Blackmagic Production Camera 4K makes use of the same 2.5” disks being used in laptops and workstation computers. SSDs also have fast read/write capability which is ideal for Ultra HD file recording. Class 10 are the best to use for this. The management of metadata is essential given the many digital assets used in creative production. The task of applying metadata tags can be a time-consuming process, however the Blackmagic Production Camera 4K allows you to do so live during the shooting process. By allowing the entry of keywords, comments or simply marking a file as a favorite makes the entire post production process a lot easier. The feature allows you to save time in searching countless number of files to find the one you are looking for. Standard protocols are adhered to when writing metadata so that it can be read by different video software applications. 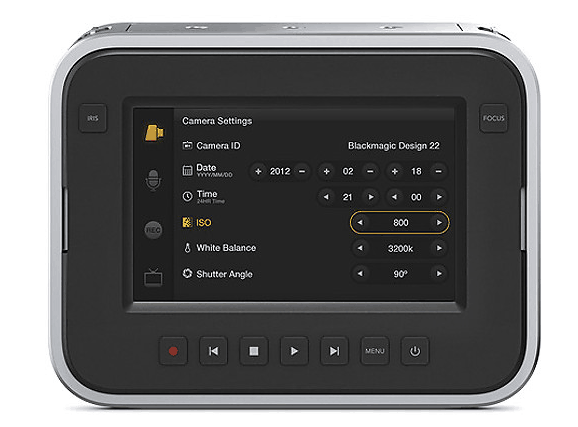 The Blackmagic Production Camera 4K comes with a Thunderbolt connection which allows you to connect to a computer for real-time scopes on set. 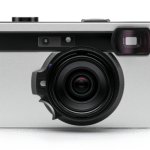 The Thunderbolt connection is built into the camera and provides a really fast 10 GB/s connection so that you can capture the output of the camera. 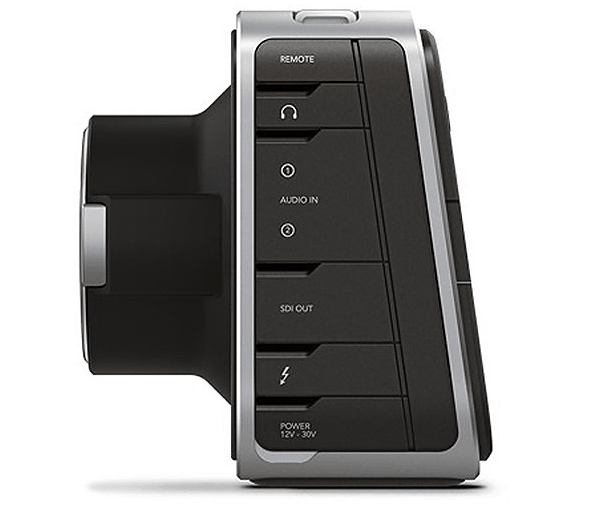 The Thunderbolt video output can also be used with the Blackmagic UltraScope software to accurately monitor waveforms, even if you’re using a laptop on set. 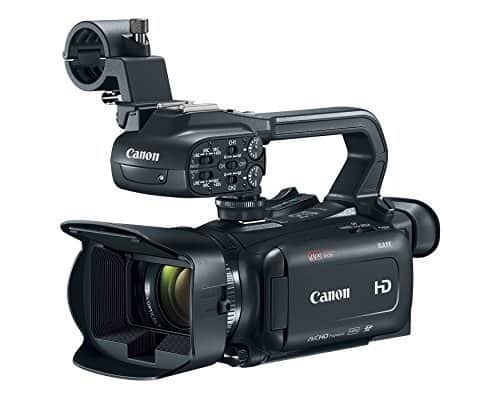 With a built-in 6G-SDI, which is four times faster than HD-SDI, you have the ability to connect to the camera in live environments. Not only that, the 6G-SDI also sets new standards when it comes to SDI connectivity. In the past, you needed 4 separate SDI connections for Ultra HD. However, with the Blackmagic Production Camera 4K, you can output Ultra HD using just a single cable. 6G-SDI is the next generation when it comes to SDI connectivity and is available throughout the range of Ultra HD 4K solutions of Blackmagic Design. The Blackmagic Production Camera 4K comes with analog audio connections using 1/4” jacks. By having this feature, you can make use of external directional and analog audio connections for effects, as well as commentary – depending on your audio requirements. All of the audio recorded is written to the ProRes file which makes it fully synchronized with your footage. LANC is a protocol that is a standard method for the remote control of professional cameras. 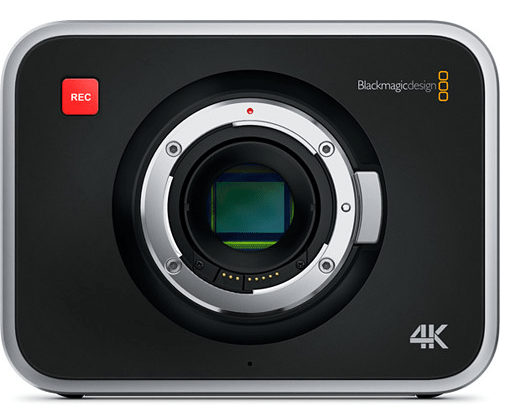 The Blackmagic Production Camera 4K comes with a standard 2.5mm jack that allows you to connect to a remote so that you can trigger the camera to start and stop recording. 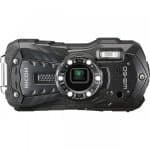 Furthermore, electronic lens control of the focus and iris are supported, all of which uses an industry standard protocol and jack connection. 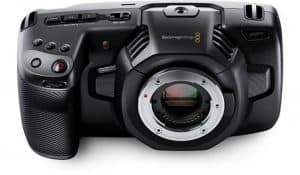 The Blackmagic Production Camera 4K is a portable and durable camera that allows for easy 4K recording in Ultra High Definition and the Open Standard File Format makes for uncomplicated post production editing or color correcting. 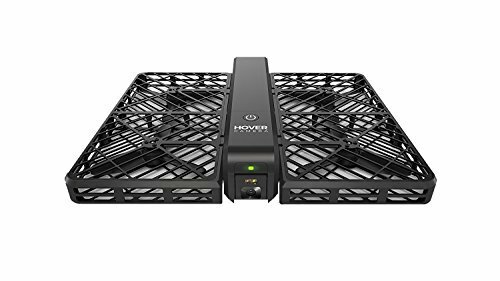 This is ideal for music videos, commercials and other digital films. If you think this is the perfect camera for you, then order one now!